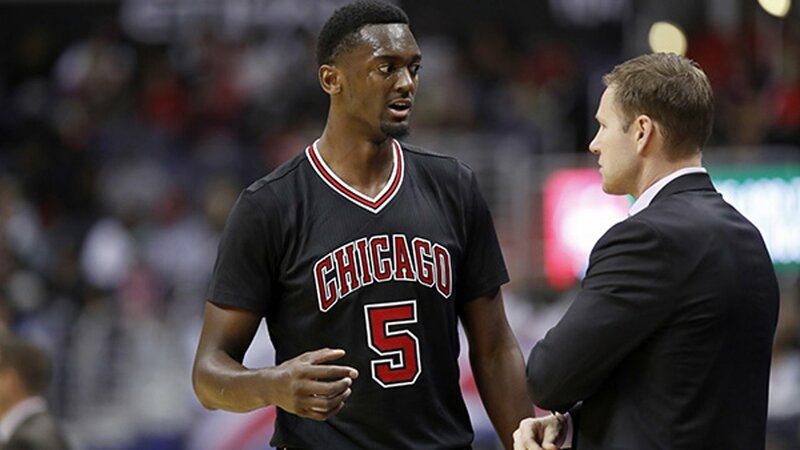 CHICAGO (WLS) -- Chicago Bulls forward Bobby Portis has been suspended for eight games following a "physical altercation" with forward Nikola Mirotic, team officials announced Wednesday. Portis will serve the suspension starting with the Bull's season opener in Toronto on Thursday. He will still be able to practice with the team during his suspension, team officials said. Mirotic is out indefinitely after being injured during practice Tuesday, team officials said. In a statement, officials said Mirotic suffered a concussion and maxillary fractures. They believe he will likely require surgery. There is no timeline for his return to play. No details about the fight or what caused it have been released. It's a terrible twist for a team committed to rebuilding a struggling franchise, and head coach Fred Hoiberg's comments during practice over the weekend now seem cryptic. "In this sport, with as many highs and lows as you go through, through the course of the season, you have a lot of time to correct things with these guys. And again with this group, they've really bought into that," Hoiberg said. Chicago is rebuilding after trading Jimmy Butler and parting with Dwyane Wade and Rajon Rondo.